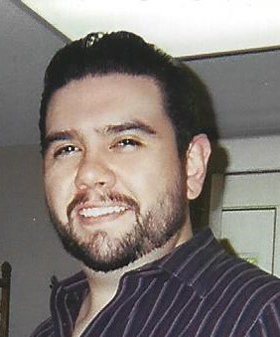 Jeremy Hawkins, 36, Excelsior Springs, Mo., passed away April 8, 2019. Jeremy was born July 19, 1982 in Kansas City, Mo. He was a Liberty High School graduate. Jeremy was a carpenter by trade. He enjoyed all types of sports from mixed martial arts to baseball especially watching the Kansas City Chiefs and Royals. He was preceded in death by his mother, Ronna Lee Hawkins, in 2017. He is survived by his grandmother, Ramona Summers; aunts and uncles, Carol Gilpin, Ernest Johnson, Tammy Porter, Mary Aguirre, Jack Johnson and Jody Hendrix. A memorial visitation will be held from 5 to 6 p.m., Wednesday, April 24, 2019 with service following at Bross & Spidle Funeral Home, Excelsior Springs, Mo.